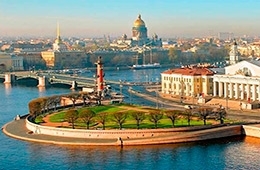 Built on swamp by Peter the Great, St. Petersburg became one of the most beautiful cities in the world. 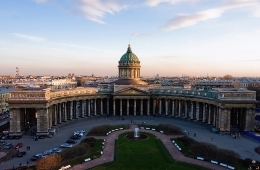 Despite all lived through the years of its existence, St. Petersburg continues to impress with its grandeur and beauty all arriving in the city tourists. 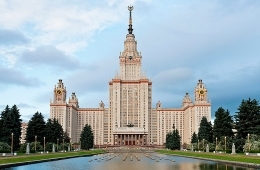 St Petersburg is a treasure trove of art and culture. 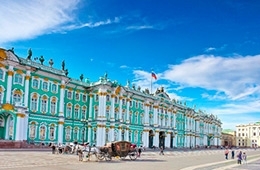 You can spend hours and days viewing the masterpieces of world art in the Hermitage or Russian museum. 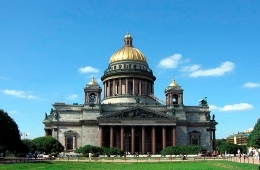 St. Petersburg is worthily called "Venice of the North". Whether you're cruising the rivers and canals, crossing one of the 342 bridges in the city, or just watching them being romantically raised over the mighty Neva River at night, you are always close to water in St Petersburg. 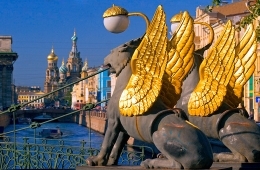 St. Petersburg "White Nights" are legendary. What can be more romantic those long summer nights than a walk along the banks of the city canals and rivers in almost broad daylight, no matter what the time of day is? 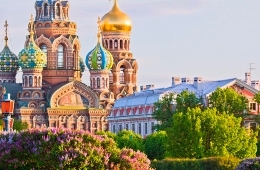 Add to all above world-class ballet or opera at the Mariinsky Theatre, Russian folk show at a palace or classical concert at the Philharmonic and you will never forget your trip to glorious St. Petersburg.